A solar system can only generate electricity when the sun is out and will not generate any energy at night. However, a solar system will still work in overcast conditions. As a solar system does not generate energy at night a grid connected solar system will pull energy from the grid to ensure your home is still running as normal. 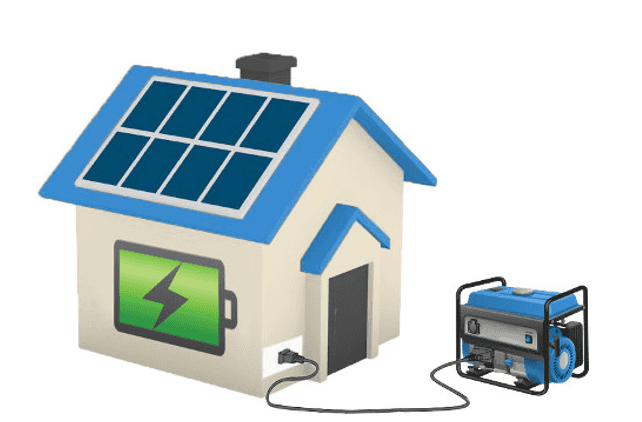 If you have added battery storage and your system has generated excess energy during the day you will be able to use this excess energy at night as opposed to relying on the grid. What’s The Maximum Size Solar System I Can Install? Each state’s local electricity networks will have restrictions on the size system your property can install. 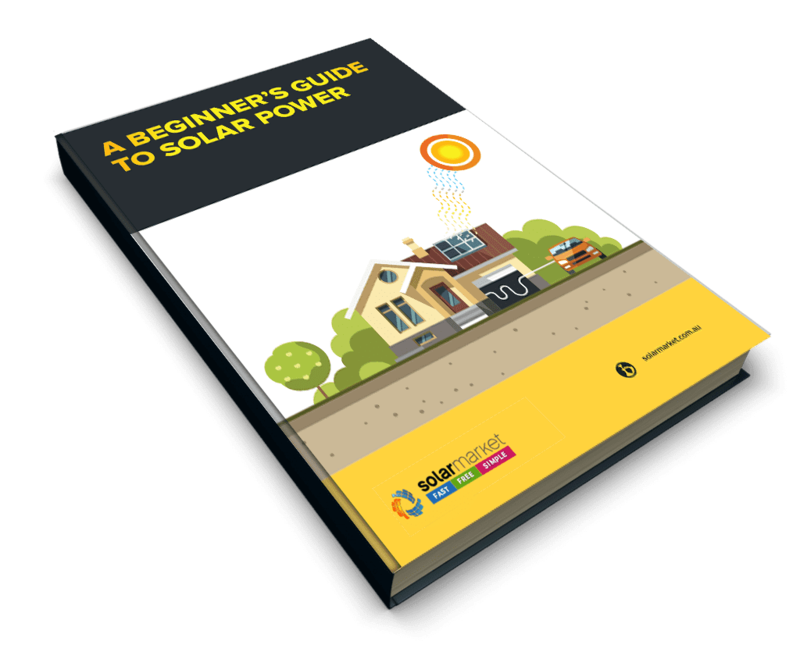 Before purchasing a solar system it’s important to speak to your local electricity network and solar installer to ensure the size you have selected is approved. If you are wanting to install a system larger than the pre-approved size it is possible however you must speak to your selected installer who can provide you with the correct steps to apply. Location and whether your home is single phase or 3 phase connected are the two main factors which will determine what size system you are restricted to. A 5kW system seems to be the sweet spot that network owners are happy with residential properties to install. Most states and territories give automatic approval to rooftop solar systems 5kW or under for a single-phase property. 3 phase properties can be approved for up to a 30kW system. Whilst it’s possible to gain approval for a size larger than these limits it may have implications on whether you can receive the Feed-in Tariff (FIT) for any excess energy your system generates. It is possible to add more panel capacity on your inverter than what your inverter is rated at. How much more you can add on depends on the voltage of panels you use and the voltage range of your inverter. However, the maximum power output will be limited to the rating of the inverter. In almost all cases, it’s a good idea to install more PV capacity than inverter capacity. Because of the way solar works, a PV array of the same capacity as the inverter doesn’t fully utilise the capacity of the inverter. Increasing the size of your PV makes better use of the capacity of the inverter you have paid for. Tips for choosing an inverter/panels? Make sure your system comes with a warranty! You’ll want a warranty where the company will take on the entire cost for removing, transporting, replacing and reinstalling any defective panels within a defined amount of time. Companies that aren’t willing to make this commitment probably aren’t confident enough in their own product, so you shouldn’t be either. Ideally, you want a representative or a contact to be based in Australia, so should you have any issues or questions they are easily contactable and there is a quick turnaround. All grid connected solar systems will and must disconnect from the grid during a blackout, meaning that the solar system will shut down. There is a very good reason for this, and that reason is safety. While it is possible to add blackout protection to a solar system and prevent it from shutting down the expense and inconvenience far outweighs the benefit. This is particularly true where the frequency and duration of blackouts is low. All solar panels will degrade over time. The typical lifespan of a solar panel is approximately 20+ years. All solar panels are affected by what is called LID or light induced degradation. Quality panels can expect a 5-10-year time-frame with maximum output of the panels dropping by 5%, whilst a lower end panel can drop by up to 10% or more. It is possible for hail to damage a solar panel, though the likelihood is very small, and occurrences are extremely rare. Minor damage can include some fracturing on the surface of the panel reducing the efficiency of that panel. Major damage may result in fracture to a large portion of the panel rendering it unusable and in need of replacement. Every time you use a unit of energy from your solar system, that’s one unit of energy you didn’t need to buy from the grid. Less reliance on the grid/energy retailer means a lower power bill at the end of the month, quarter or year! The workmanship/materials warranty covers the construction of the system and would cover issues that may not have a massive effect on performance but still make it unsuitable for long term use. An example would be if the DC connector points on the back aren’t mounted correctly and are loose. They may still allow electrical charge through but are not suitable for long term use. Generally, there are two types, a step warranty or a linear warranty. If you can get it, a linear warranty is preferred and generally is only offered by higher quality panels because the company is more confident in their product. How do seasons, weather, temperature and shading affect solar production? Solar systems will always produce more energy in summer than in winter and this is due to the sun being higher in the sky and the days being longer. One interesting point which most people don’t realise is that solar systems don’t like too much heat and will produce around 20% less energy than their peak on a 40-degree day. Therefore, you may find that your solar system hits its peak production at any one point in time during spring or autumn. Overall though, your system will produce more units of energy during the summer months due to the longer days. Cloud cover is an obvious one but worth mentioning. If clouds pass over your system, the system will have less sunlight reaching it meaning less production. As much as possible, solar systems should be positioned to avoid shading. Basically, shading drastically reduces production unless you’ve got a special setup (e.g. micro-inverters). Partial shading early morning or late afternoon is acceptable if unavoidable however you don’t want shade across your panels at midday. The pitch and orientation of your system plays a big part in how you generate power. Below is a breakdown of what to expect depending on which way your panels will face. In Australia North facing panels receive the most sun throughout the day. If North facing panels aren’t an option on your roof it’s not a deal breaker! You can choose other panel directions based on your high energy consumption times. Generates more energy in the morning and less in the afternoon (12% less energy than North facing). Generates less energy in the morning but more in the afternoon (12% less energy than North facing). Avoid where possible as South facing panels generate up to 28% less energy than North. Some roofs allow for a combination of different directions, which can be beneficial on maximising the suns movements throughout the day. The way these inverters work is that they operate 1-2 panels each and so they must be connected very close to the panel. For these types of inverters, you have little choice in placement and typically they are attached underneath or to the back of your solar panels. Most people prefer these installed in a garage so that they are out of the way, but still protected from the elements. It is critical that the inverters have free air space around them, so that they don’t overheat. If it is placed in a garage, ensure that the usual clutter that ends up there doesn’t surround your inverter. For Standard inverters that are rated for outdoor use there is more flexibility in where they can be placed. However, some of the rules that applied for indoor inverters still apply here. These are usually found in garages/carports or on the sides of houses if there is an awning or some shade that keeps them out of sunlight. The key rule still applies, you want to avoid getting inverters too hot because they will lose efficiency and in worst cases reach their heat limit and shut themselves down; so, plenty of air space around them and no direct sunlight. Yes, however, if you know you’re going to expand your system later, it’s much better if you can just get that expansion with the initial installation. Why? Because installing the full system from the get-go saves money and potential problems. If you’ve already got a well-designed system in place and decide that you want to increase your output by adding more panels then by all means, go ahead. However, if you want to get an array far smaller than your inverter capacity with the intent of filling out the rest of the capacity later, either go for the full capacity now or settle for a smaller inverter. Filling out the capacity later loses you a lot of financial benefit, compared to if you simply installed the full system from the beginning. Retain your STCs and sell them yourself. Can I claim STCs for more than one property? Yes, on different addresses. However, if you wanted to claim STCs on multiple systems at the same address you must prove that each system is independently eligible. This means that premises at the same address must be clearly separated from the other premises. For example, on a dairy farm, the farm buildings and residential house would be counted as two separate premises and both are eligible to separately apply for STCs. A garage located near a house would not count as a separate premise so only one application for STCs could be approved. Main criteria when choosing a solar installer? A very easy first step for investigating an installer is to do a quick internet search on them. Are there a multitude of horror stories out there? Or conversely, is there high praise for their services? Do any of your neighbors, mates, co-workers or family members have a solar system that they could share their experience in selecting an installer? What products is the company selling? You should be able to find out either from their website or a quick phone call what brands they are selling. If the company can’t tell you what inverters or panels, they will supply you, then that’s an immediate red flag. Do an internet search to get a quick impression of how good the products are and look at multiple sources. All installers should have the proper certification for installing PV systems. That means they should have both a valid electrical license and be accredited with the Clean Energy Council. Without these, they cannot legally install PV solar systems and the PV systems will not be eligible for any available government rebates. Throughout the whole process, the company should be able to give you information about your system and your potential purchase. For example; some background information on the panels/inverters, where are they made? What are the terms of the warranty? How will the system perform during the year? What is the average daily output, etc.